Tetsuya Mizuguchi, creator of Rez, is now Project Professor of Media Design at Keio University. 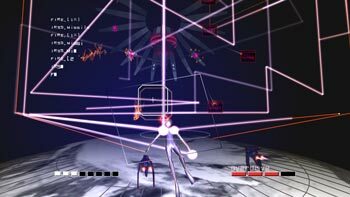 When last we heard from Rez creator Tetsuya Mizuguchi, he was taking a step back from his role at developer Q Entertainment to become more of a spokesman for the company. In a further move towards academia, Mizuguchi has taken a Project Professor role at the Graduate School of Media Design, Keio University. A statement from the University confirms that Mizuguchi will "continue to produce games and further expand his expertise in the field of media design and innovative content production." Mizuguchi Tweeted that the University role was his "new challenge", as he received congratulatory Tweets from former colleagues and friends. Mizuguchi worked with Sega for thirteen years before moving on to Q Entertainment, where he made some of the games he's most famous for. Included in that roster is Child of Eden, the one game Mizuguchi directed. In addition to game creation and his new academic career, Mizuguchi is also a songwriter and co-founder of the Genki Rockets.